A heart rate sensor makes this ring a convenient and accurate activity tracker. If you can’t stand fitness-tracking bands or smartwatches, maybe you should put a ring on it. 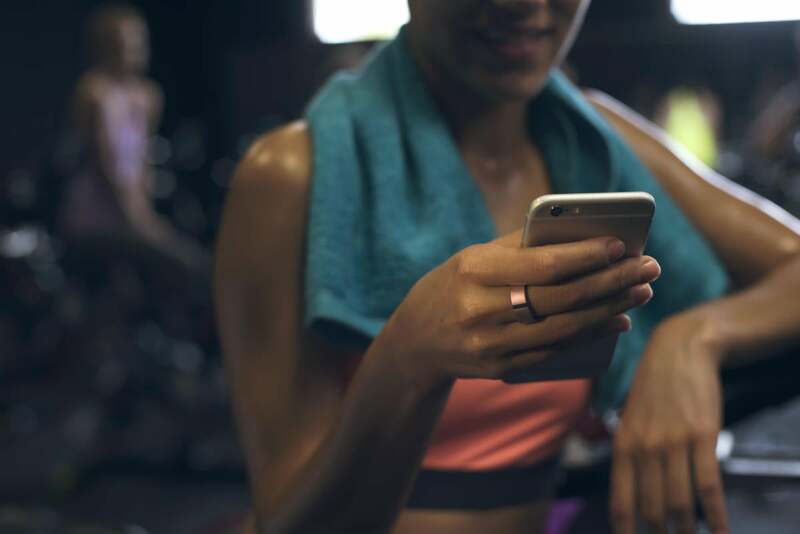 Not just any old ring, obviously—a waterproof, Bluetooth, titanium activity-tracking ring with a built-in accelerometer, LED lighting, and an optical heart rate sensor just like you would find in any top-of-the-line fitness band. It’s called Motiv, and it might just be the most subtle activity tracker on the market. The $200 ring, which was announced this week at CES and starts shipping in March, aims to make fitness-tracking totally unobtrusive. You can wear the low-profile, 8mm ring constantly—to bed, in the pool, while showering—just like a wedding band, although unlike an unintelligent piece of jewelry, it needs to be charged. Motiv says the ring will last up to five days on a charge. Motiv works just like any other fitness tracker—it counts your steps and tracks your sleep—but instead of a traditional dashboard with daily, weekly, and monthly graphs, Motiv’s app for iOS tells you how that data affects your overall health. The ring’s focus is activity—real activity, not cheating to fill rings. That means 100 steps or more per minute and 150 active minutes a week to stave off diabetes and keep your heart healthy. Every day you get a recalibrated activity goal based on the previous day’s progress, which is more helpful than aiming for 10,000 steps. About that heart rate sensor: Motiv’s team says the ring’s data accuracy is comparable to a chest strap. The sensor calculates your resting heart rate while you sleep, which is a metric used to determine how fit you are. If you’re gonna wear this ring all day, every day, it has to be fit perfectly. I’ve long struggled with fitness bands that are too large or generally ill-fitting, and they end up in a drawer, unused. Motiv’s sizing process is akin to Warby Parker’s: You receive a sizing kit in the mail with seven sizes to try on. You’ll want to wear the sample throughout the day, because your fingers change sizes depending on activity and temperature. Motiv has a few other unique features that make it a little more interesting than your average fitness tracker. Every fitness tracker requires syncing (and Motiv will store a few days of data locally until you do), but to sync this ring, you simply spin it on your finger. Easy. Motiv’s magnetic USB charger slides into a keychain for on-the-go charging. Again, easy. I haven’t tested out Motiv yet, but I’m intrigued by its potential. The startup isn’t the first to develop a fitness-tracking piece of jewelry. There are smart bracelets and pendants galore. 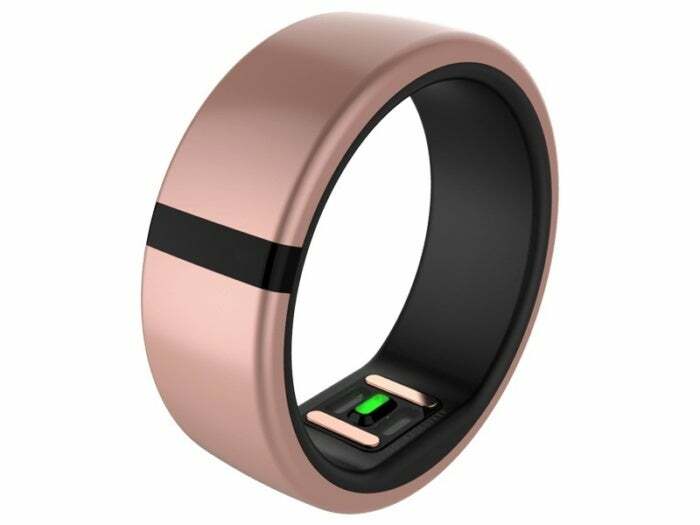 Motiv’s ring, which comes in steel and rose gold, differs with its heart rate sensor. From both a technical and a wearability standpoint, putting a fitness tracker on your finger is a natural next step. Problems that impede a wristband’s data collection, like hair, tattoos, and improper fit, don’t affect a ring. If you’re looking for a fitness tracker that serves double duty as a smartphone notification relay system, Motiv isn’t the device for you. The ring doesn’t have a display or even a vibration motor. It’s solely about fitness-tracking in a form factor so old it’s new again. Stay tuned for a full review when Motiv goes on sale. 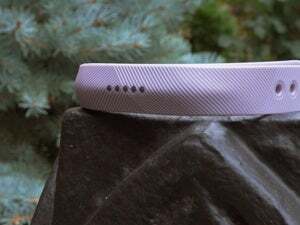 This story, "Forget the wrist: Motiv's ring puts a fitness tracker on your finger" was originally published by Macworld.